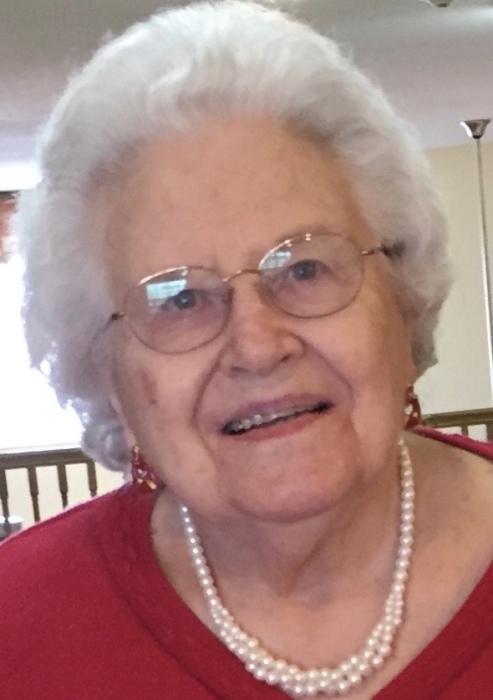 Caroline Gluba, 94, formerly of New Boston and Keithsburg, Illinois died Wednesday, April 3, 2019 at Colonial Manor of Amana, Iowa. Visitation is Monday, April 8th from 1:00 – 2:00 p.m., followed by funeral services at 2:00 p.m., at First Christian Church, Keithsburg, Illinois. Burial will be in Greenmound Cemetery, Keithsburg. Memorials may be left for the Activity Department at Colonial Manor of Amana. Dennison Funeral Home, Aledo is handling arrangements. Caroline Sedam was born to Lester and Emma Verstring Sedam on January 18, 1925 at home on the family farm in rural New Boston. She graduated from New Boston High School. In her early years, she worked at the Button Factory in Muscatine. On January 26, 1942, she married Joe “Jake” Gluba in Kahoka, Missouri. Soon after they married, Jake left for World War II. Caroline got a job packing fruit in Texas. To Jake’s surprise upon returning from the war, she had saved enough money to put a down-payment on a house. The couple enjoyed spending time with each other… from just sitting around and laughing to cooking and canning. They were happily married for 75 years, until Jake’s death on June 12, 2017. She worked at Collins Radio in Cedar Rapids for 25 years, before moving to Keithsburg. She then went to work at Thatcher Plastic in Muscatine. Caroline enjoyed Bingo and loved gardening. Her greatest joy was spending time with family, especially the grandkids, great grandkids and great great grandkids. Those left to cherish her memory are her children: Joe H. (Julie Slaman) Gluba, Jr. of Cedar Rapids, Iowa and Sherry L. (Douglas) Schroeder of Swisher, Iowa; grandchildren: Caryn DeSpain, Ricque Stubenrauch, twins – Joseph and Gabriel Gluba, Benjamin McCauley, Matthew McCauley, Amanda Robidoux and Allyson Schroeder; 19 great grandchildren; 9 great great grandchildren; brothers: Clark (Shirley) Sedam and Chester Sedam all of New Boston, Illinois; sister-in-law: Peggy Sedam of Andalusia, Illinois and brother-in-law: Roy Nebiker of New Boston, Illinois. She was preceded in death by her parents, daughter: Carol June Powers, husband: Jake Gluba on June 12, 2017; sister: Lucille Nebiker; brother: Clyde Sedam and sister-in-law: Ressa Mae Sedam.